Christmas is awesome. There’s social occasions almost daily as well as copious amounts of food, drink and pretty much anything else. Which again is awesome. However, this presents a problem to the health and fitness conscious amongst us. You want to enjoy yourself but you’re also worried about losing all the progress you’ve made and rolling into January worse than you ever were. 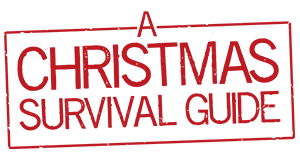 With this in mind here’s my top 5 tips to surviving Christmas. No. 1. Chill out! Seriously. This shouldn’t be a big deal. Even if you go all out for the full month your not going to end up back at square one. You’ll gain a few pound sure but once things get back to normal I’m January you’ll be fine. No. 2. Prioritise. We want you to enjoy yourself and that means not being super restrictive. But. If you planning on going flat out pick the times to do it. I probably don’t need to explain why binging to excess every single day is a bad idea. Pick the days that your going to really enjoy yourself and do just that. Apart from that you should try to be as normal as possible in the days in between. You’ll appreciate those good times all the more for it and so will you health. No. 3. Don’t be super greedy. Fair enough on Christmas Day. Everyone makes a pig out of themselves. However, every other day there’s just no need. By all means enjoy the chocolates and alcohol you got as a present but if your eating to the point of feeling sick everyday it’s just too much. No. 4. Once Christmas and new year is out the way empty your house of any temptations that are left. It’s going to be twice as hard getting back into good habits if your cupboards are full of quality street and jumbo bags of dry roasted peanuts. This doesn’t mean you should try your hardest to polish everything off before January. Remember my last point. This might seem wasteful but it’s better to just get rid than to be temped to mega binge after the first week of January. No. 5. Get your arse Into the gym. Getting training sessions in will probably make you feel an awful lot better about all the excesses. It will also make things a lot easy come January if you’ve kept yourself ticking over. If you don’t decide to train throughout at least make sure you get back in January. The break in training will probably have done you good but only if you cap it at a week or two. If you don’t end up going back to the gym until may it certainly hasn’t. Just get back straight away. Simple as that. No next week, no next month; now! Most importantly though have an awesome Christmas and new year and we’ll see you all in January for another year of epic results. ← Your Goals or Theirs??? → Mental Well-being is being recognised… FINALLY!! !